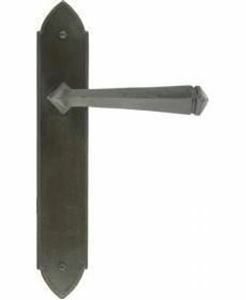 Overall Size: 457mm x 127mm Fixing Plate: 127mm x 25mm Hinge Arm: 425mm Suitable for 2ft6" to 2ft9" ledged doors. 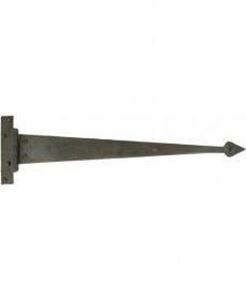 Overall Size: 457mm x 127mm Fixing Plate: 127mm x 25mm Hinge Arm: 407mm Suitable for 2ft6" to 2ft9" ledged doors. 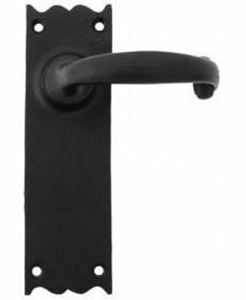 Backplate Size: 152mm x 48mm Handle Length: 110mm This latch version of our very popular Avon range enables versatility for the user in areas around the home where you have no need for a locking mechanism i.e in a lounge or dining room. 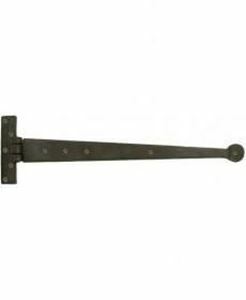 Cottage Lever Latch Set Backplate Size: 171mm x 51mm Handle Length: 89mm A latch version of the traditional cottage handle which allows versatility in it's areas of use and helps to create a uniform look throughout your home if used with the other handles in the range. 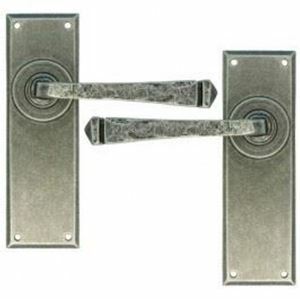 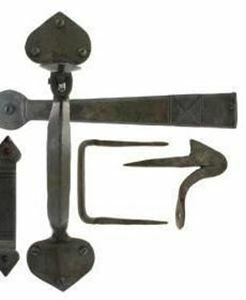 Gothic Lever Latch Set Backplate Size: 248mm x 44mm Handle Length: 110mm This latch version of our Gothic handle allows the same style to be carried throughout the home and has a multitude of areas where it can be used from dining rooms and lounges to bedrooms and kitchens.